1. Can oprate in normal mode. Do not need to enter safe mode. 3. Require administrator rights, UAC turn off. Right-click the exe file, select Run as Administrator. 5. After patch, Restart computer to take effect. 6. You can run program with argument “-silent” to patch in silent mode. 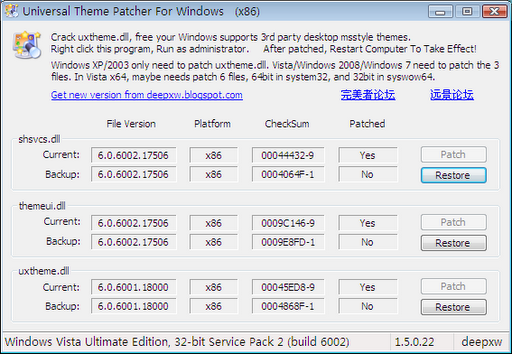 * Allow UniversalThemePatcher-x86.exe to patch the 32bit files in \windows\syswow64. 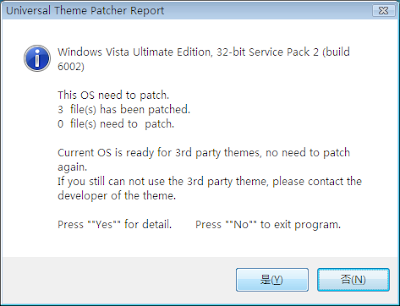 Windows 7 Build 6801, 7000, 7022, 7048, 7057, 7068. 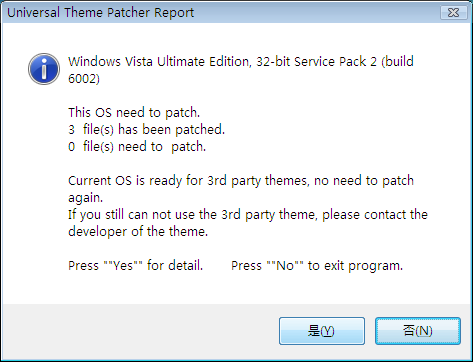 Windows Vista SP2 6.0.6002.16670, 6.0.6002.17506. 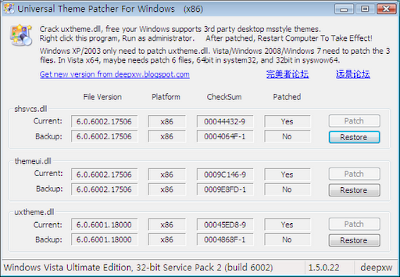 The 32bit (x86) themes/Visual Styles should not be used in 64bit (x64) Windows.